My interests are in the diversity and distribution of North and South American fishes, both fresh and salt water species, and discovering fish diversity by the use of both morphological and molecular techniques. I am also interested in the relationship between fishes and the larval stages of freshwater mussels. I have spent my recent past absorbed in moving the Museum’s fish collection from the ledger to the web, as well as the physical curation of over 110,000 lots. Hogue, G.M., W.C. Starnes, and J.A. Raine. 2007. From the ledger to the web: improving the functionality of the collections of the North Carolina State Museum of Natural Sciences to respond to the rapidly changing needs of conservation planners. Abstract and Poster for the 1st (freestanding) meeting of the Southeastern Fishes Council, Chattanooga, TN. Hogue, G.M. and J.A. Raine. 2006. 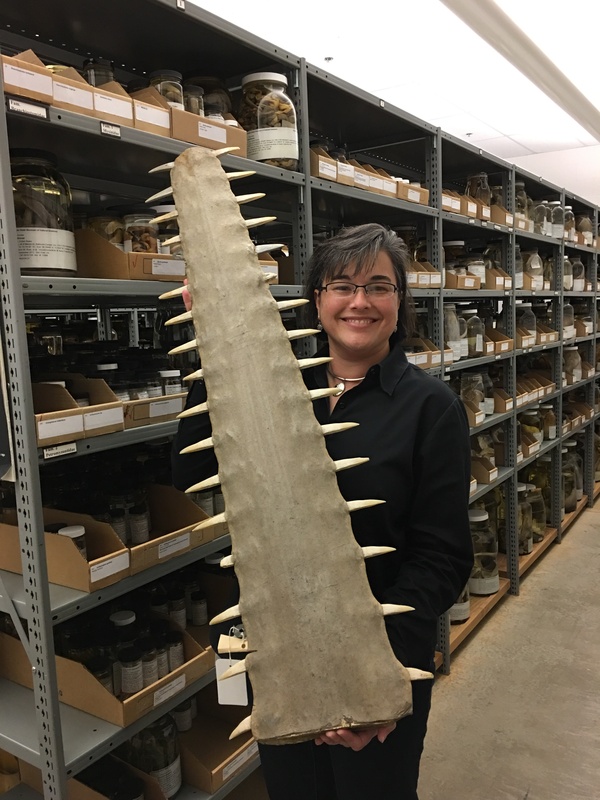 From the ledger to the web: Setting 21st century documentation standards for the collections of the North Carolina State Museum of Natural Sciences. Collection Forum 21(1-2):175-191. Raley, M.E., W.C. Starnes, and G.M. Hogue and H.W. Robison. 2005. Evidence of extensive mitochondrial introgression in the Redfin Shiner, Lythrurus umbratilis. Abstract for the 85th meeting of the American Society of Ichthyologists and Herpetologists, Tampa, FL. Page, L.M., G.B. Mottesi. 1995. The distribution and status of the Indiana crayfish, Orconectes indianensis, with comments on the crayfishes of Indiana. Proceedings of the Indiana Academy of Science 104(1995):103-111.